I don't know about you all but we are in full on holiday mode in our house. The trees are up. The decorations are out. The lights are hung. Now all that is left is to enjoy Thanksgiving and then start holiday baking and enjoying time with family and friends. My kitchen is pretty much a constant disaster in the month of December. I love to bake and my kitchen shows it! I don't want to spend my entire month cleaning but I do freak out if I don't have a tidy house. One area of our kitchen that I struggle cleaning is our stainless steel. 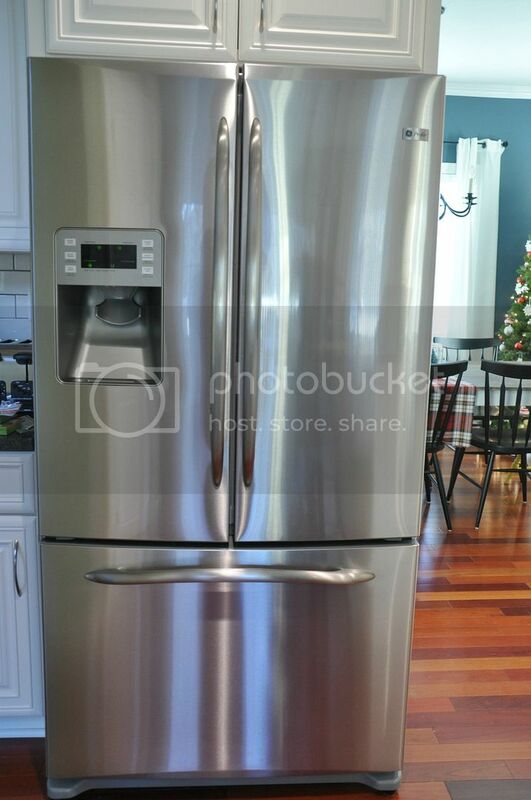 We've been in our house for 5 years now and I have continued to struggle with finding a good stainless steel cleaner. I feel like I tried them all (natural routes included) and I just decided to settle with the last one I tested. 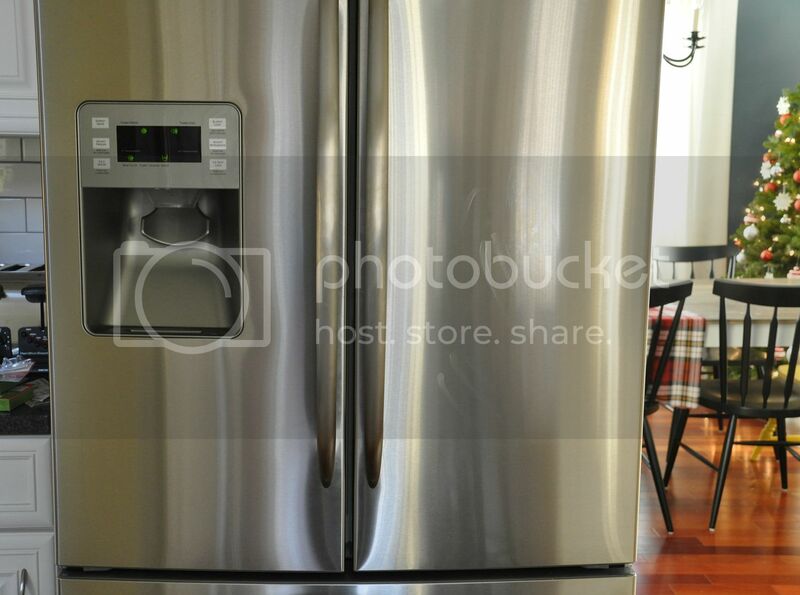 But a refrigerator that looks like this drives me batty! Look at those fingerprints. I constantly give Nate a lecture that I have now titled "Grimy Hands 101." He has yet to pass. And I don't think it's because I am a poor instructor. I will never complain about my husband cooking but is that mess on the fridge really necessary? USE A HAND TOWEL. 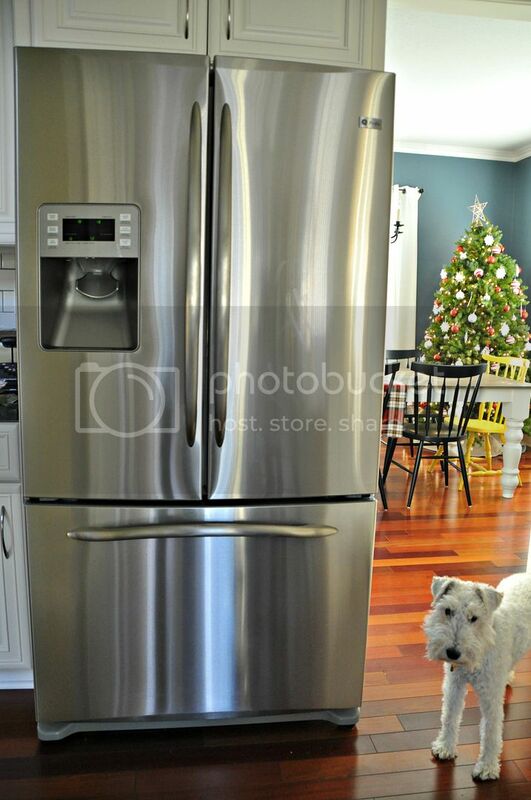 Even Ike understands keeping the fridge clean. Look at that face! I figured I'd give Steel Meister a shot. I'd just bow out of the campaign if it wasn't a good fit. I was honestly surprised at how well this cleaner works. It was easy to use. You spray the cleaner onto the cloth and then you apply by wiping as you would to polish a car. 1. It doesn't streak. Every other cleaner I've tried I have had to scrub and buff to be streak free. Point for Steel Meister. 2. It keeps our stainless steel cleaner longer. I was pretty skeptical when the product review said that it not only cleaned but also protects from future build up. Our fridge door last about 2-3 days before I start to wig out compared to the previous 10-15 minutes. I noticed after the initial application that I hardly had to scrub to get any gunk off the fridge door handles! So shiny and finger print free! I have definitely found my new stainless steel cleaner! Want to try Steel Meister yourself? 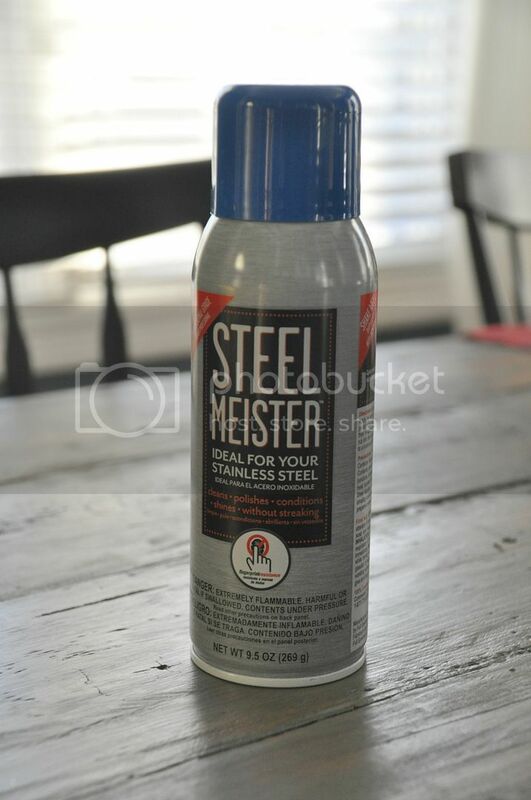 Read the Steel Meister reviews and pick up yours at the Home Depot (in the appliance section). You can also follow Steel Meister through various social media: facebook, twitter and Pinterest. Speaking of Pinterest, be sure to check out my "Cleaning- Before and After" board! Do you have any stainless steel surfaces that drive you batty? Are you a big holiday baker? Anyone else need a lesson in Grimy Hands 101?